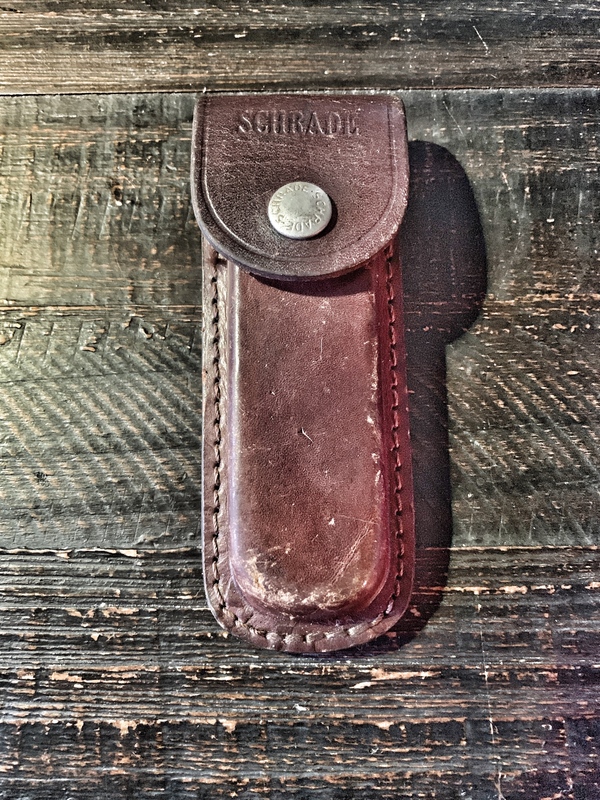 Schrade FAQ: Is the answer to your question here? Steel, dates, models. 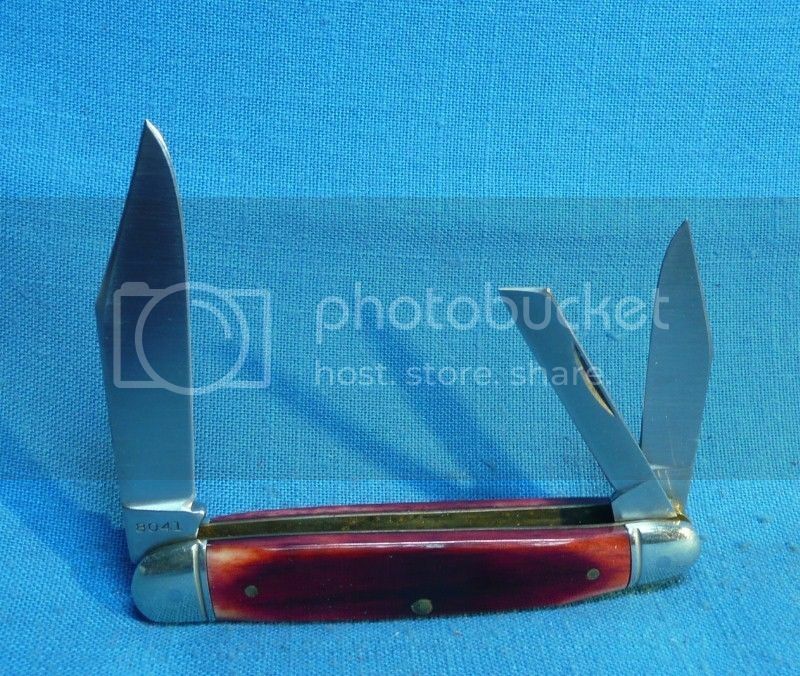 Discussion in 'Schrade Knives Collectors Forum' started by textoothpk, Dec 19, 2005. 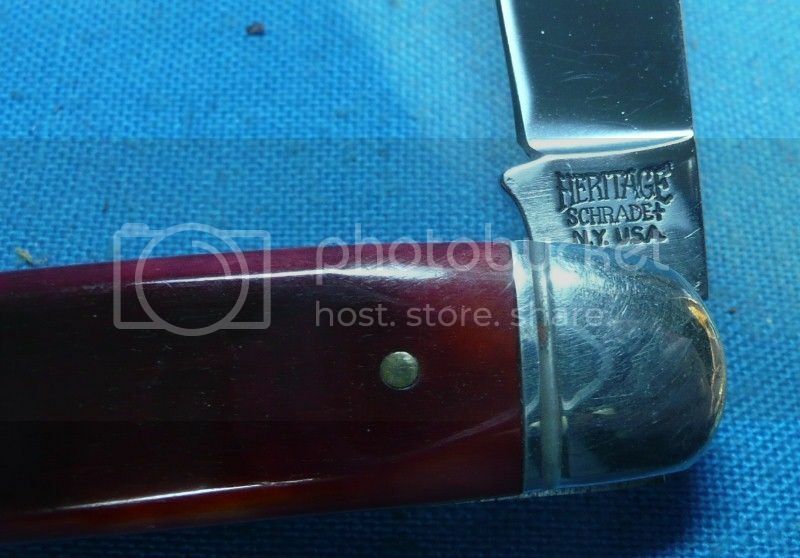 I don't think it is a fake but that the blade was stamped for a limited edition knife of the same pattern. Thunderbird? It looks real to me as well. The TB was throwing me off though. I had to dig into my collection & photos to look at my Schrade Limited Edition Indian Series Thunderbird knife. 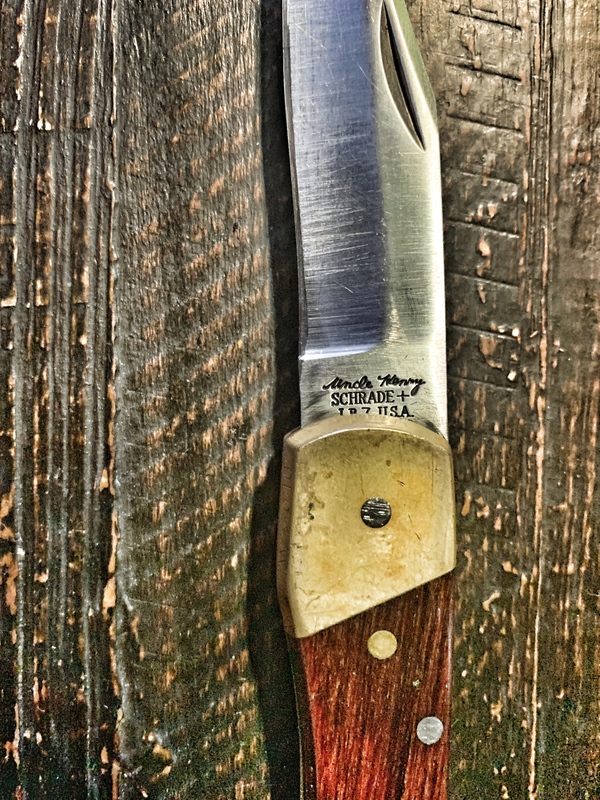 The blade had to of been leftovers from the series making the LB7 a "Friday" made knife. Interesting find! I shall have to pick it up for it being an odd ball. Any idea on when the Serial# is from to date the knife? 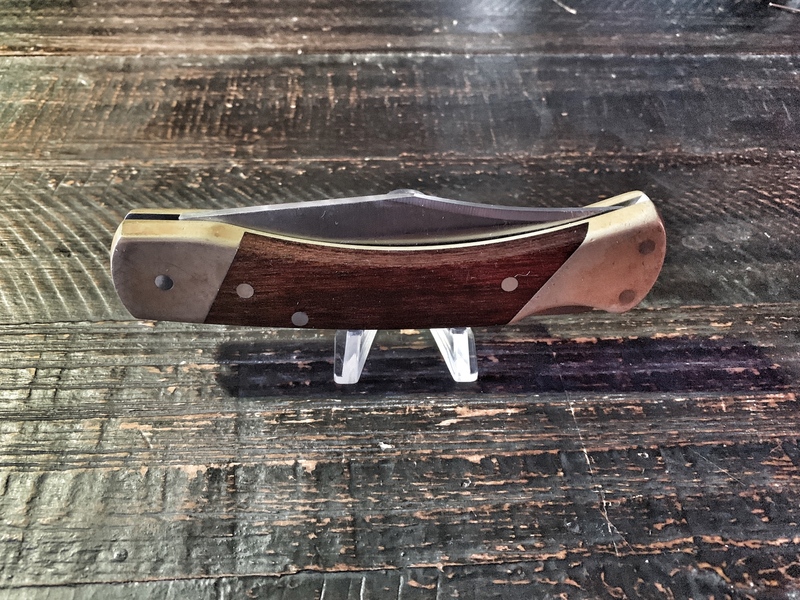 We've seen these LE blades on production knives before. There could be any number of explanations from repair to just using up inventory on hand. I would not think that employee theft at Schrade would be very common. Date? After the American Indian Series was introduced. After looking at photos of my Schrade Limited Edition Indian Series Thunderbird knife. 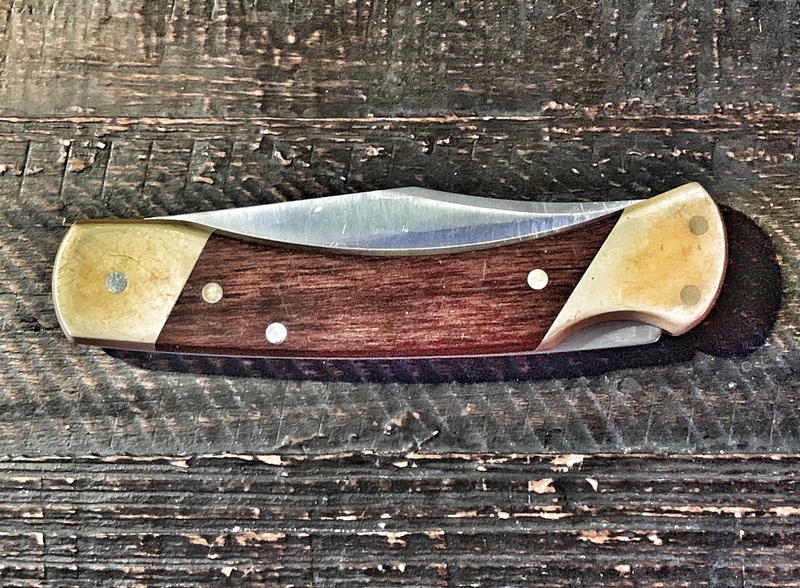 I would have to say that the LB7 is indeed a (Friday) made knife with parts used from the spare tote. Making one cool collector. 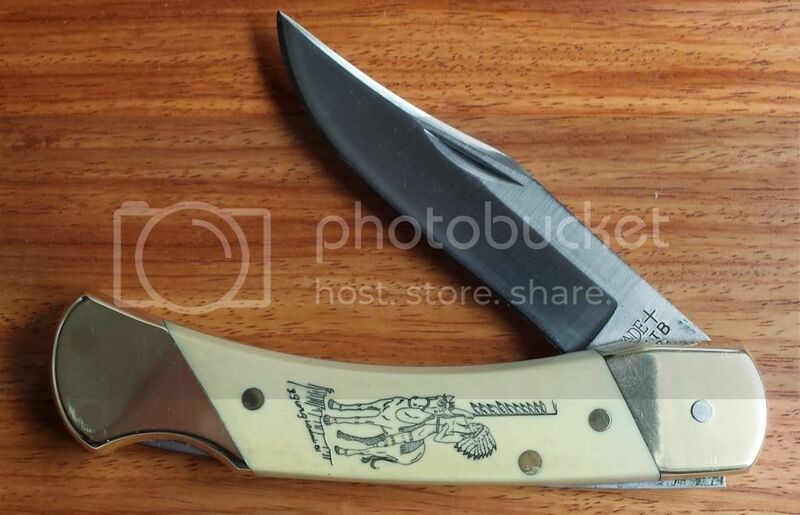 Here is proof: This is my Limited Edition Indian Series Thunderbird knife. The blade is the same as the serialized LB7 I found. I don't believe that employee theft. I think the way you do on this on. Trying to use up inventory & this is what they came up it. Looks to be a c. 1936-1952 tangstamp, but I've searched the catalogs to no avail. Not sure if bail was added after the fact. Hello Anybody! 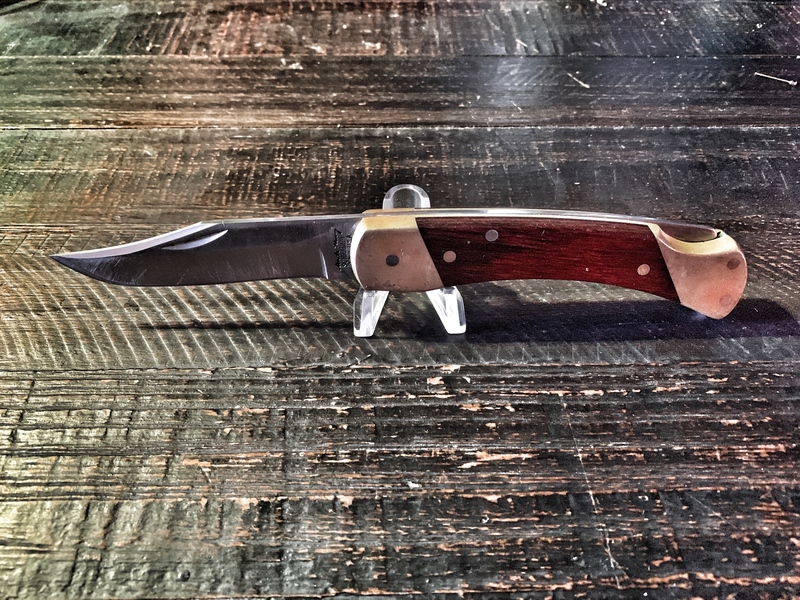 I just joined the forum in search of information on my Schrade knife. The knife and box are labeled SC 705. But is this a knife I should just keep? 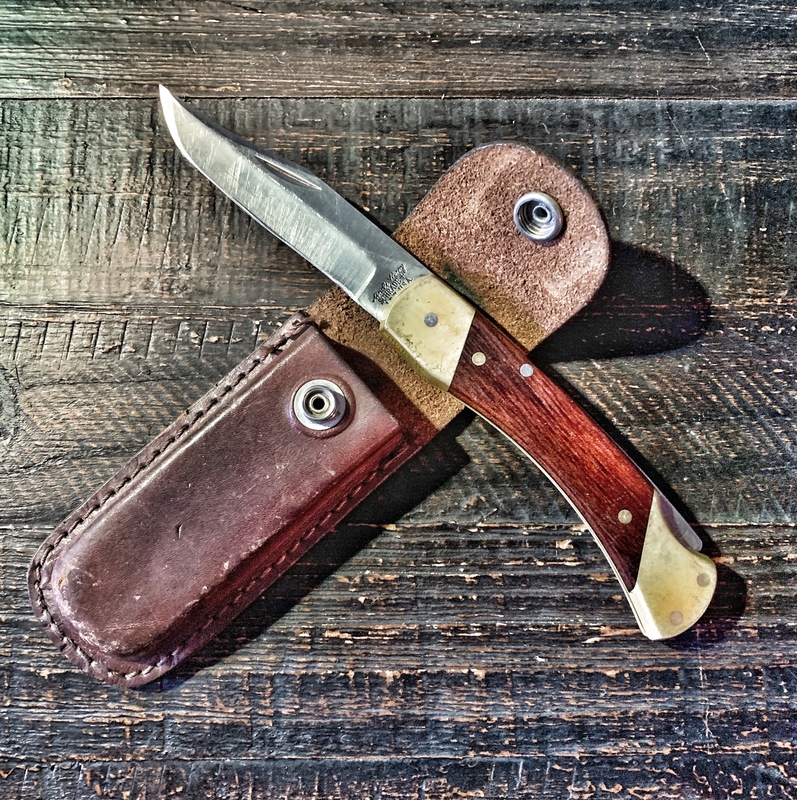 Values of special edition Schrade knives remain fairly constant among collectors as currency continues to devalue. Thus if you wish to keep it for personal enjoyment of ownership, do so. The SC705 is a special edition made for K-Mart by reversing the art and pattern number of the standard SC507 circa 1983. Of course without clear photos we can't tell if yours is in factory condition with correct packaging etc., necessary for it to be of full value to most collectors. I must remind you that you cannot ask for value nor promote knives for sale here without the proper membership level though. Welcome to the forum! Found this one in my archives, don't remember buying it, didn't remember I had it haha, marked Schrade Walden NY USA and 219, any info would be appreciated thank you. 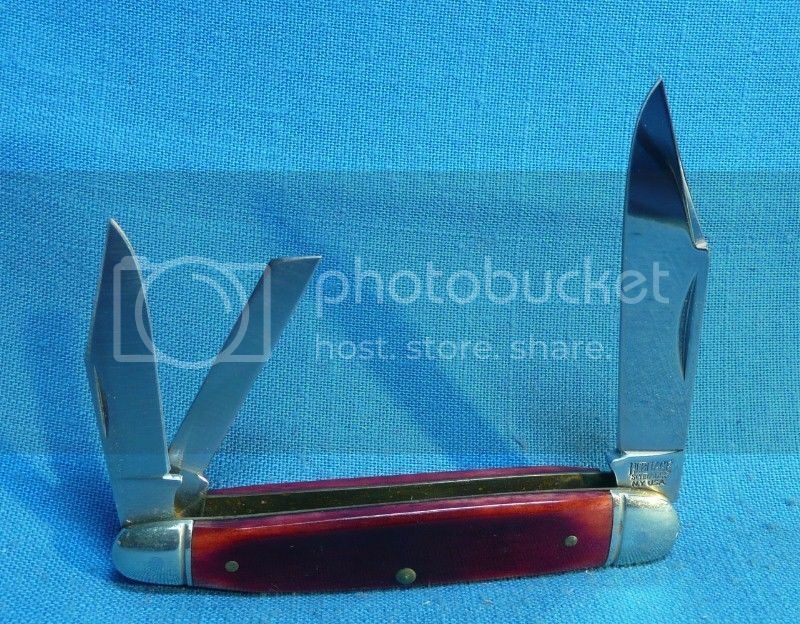 Does anybody know what steel is in this + 8041 knife? 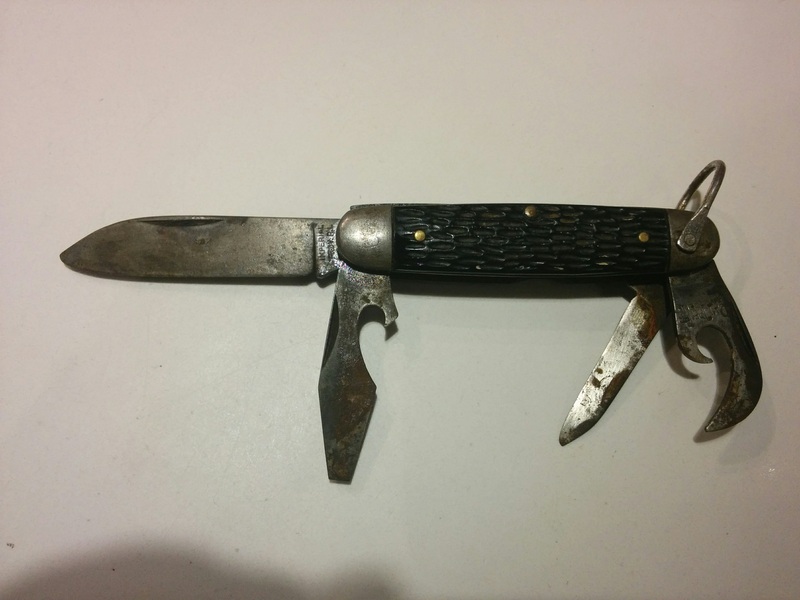 Did Schrade ever make their 3⅞" trapper frame with clip main and sheepfoot secondary? And if so, what is the model number? No, they did not, to my knowledge. 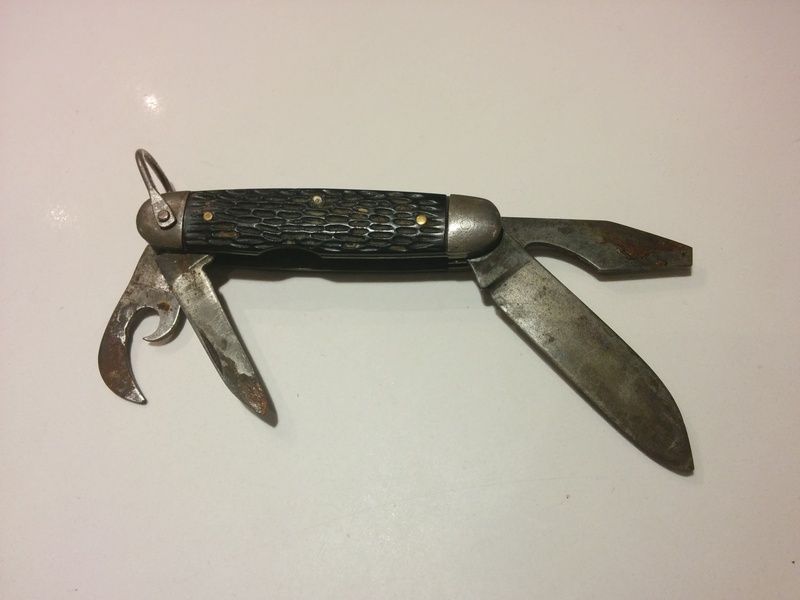 I have a C. Mirando knife from Frosolone, Italy that I have been trying to find it's value. All trails lead to Blade Forum. Forum is very new to me so forgive me if I stumble. I believe the knife was made by Cosimo Mirando before coming to America and becoming Imperial knifes. There is a pic of it in this website somewhere -almost exactly the same. I have tried to upload a pic of it but I cant figure it out. I need to find out its value as I am a consigner and this is for a customer. He said he knows it is special but that is all he knows. 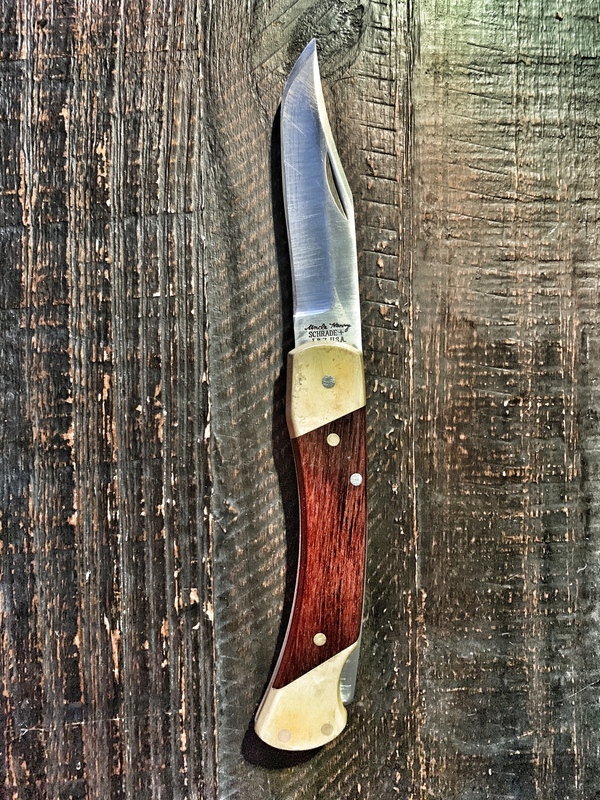 For starters, post an image of the knife here. After that, somebody here might be able to guide you. 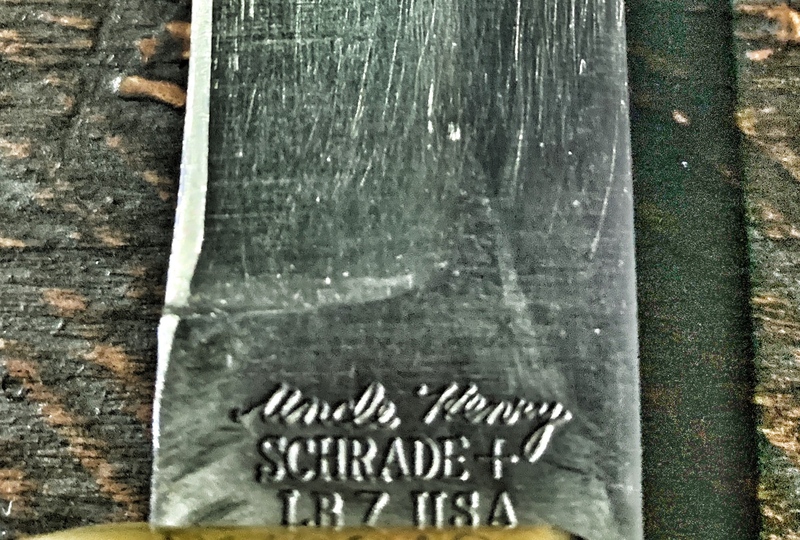 you can try the Schrade site, although a different company now, there are collectors around, maybe some date charts? The 108OT Junior was made from 1963 through 2004. Yours was made between 1973 and 1999 or so. Sorry it can't be dated any closer than that. peter townsend and TonySal like this.